If car is stalling while accelerating do you know what are the causes of this problem? 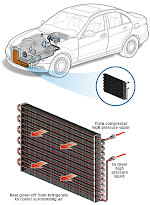 There are several reasons to cause a car stalling specially when accelerating but it all depend on the situation and the condition of when the problem occurs. If the problems happened during cold rainy mornings, it means that the cause of stalling is the moisture on the distributor cap. During the night when the car is park outside the garage especially when raining condensation is formed inside the distributor cap. 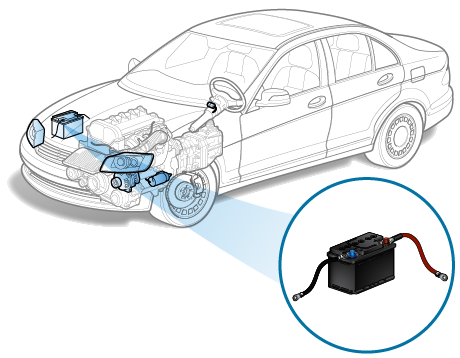 The moisture that forms will allow electrical current inside the distributor cap this current will lead to misfiring. It eventually become severe to the point that the car will stall while accelerating. How will you avoid this problem? If you anticipate that it is about to rain, park the car inside a covered parking and leave it there for overnight. In this case no condensation will be formed inside the distributor cap. If car stalling is gradually become frequent such like after the first time it took too long to happen again then the possible reason is that the car suffers from a vacuum leak. The problem of vacuum leak usually starts out small then gradually become worst, this is because of the pressure build up inside the engine. The vacuum that is created inside the fuel system is one of the factors that determines how much fuel the car can get. Now, if there is vacuum leak on the fuel system the air/fuel mixture that enters the combustion chambers will be affected thus resulted to engine stalling. Bring the car to a reputable repair shop, ask the mechanic to check the engine for vacuum leak. 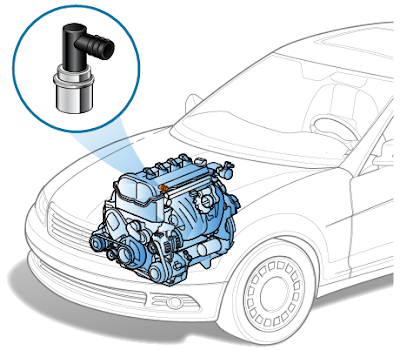 Usually the EGR and the PCV valve is the most common source of vacuum leak. If car stalling happens at any given temperature, the possible problem is a bad throttle position. Engine with fuel injected system have a part called throttle position sensor, the purpose of the device is to measure how far the driver pressed the gas pedal and thus the throttle. All gathered data will then feed to the engine computer that does the calculation, based on the calculation the resulting data will be used to determine how much gas the fuel injection system should inject to the engine combustion chamber. Now, if the throttle position sensor provides a wrong data to the engine computer it will adversely affect the injection of gas that goes into the engine and it will result to engine stalling. 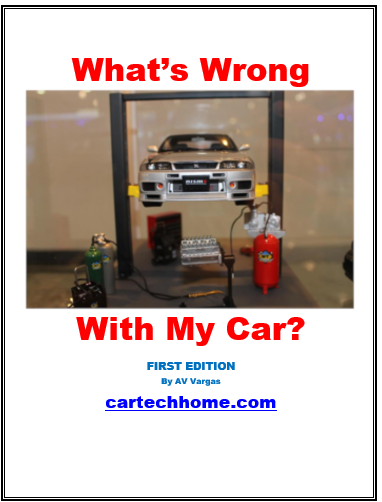 Bring the car to the repair shop, ask the mechanic to check the throttle position sensor, have it repair if necessary this will fix the problem. WHat if, after the stall, the engine cannot be restarted for about 15 minutes. The engine cranks, but does not start. After waiting, the engine starts, the vehicle runs as if nothing had happened. My 81 cutlass has a 5.0 Liter V8, when I have the car in neutral or park I can "gun" it with no problems, but in drive I have to press the accelerator more slowly or it will struggle and/or die...any ideas...? In hot or cold weather, every morning or evening (when the car has been sitting at a place for some time) - car starts normally, but if put it in gear & accelerate without leaving it in idle for at least a minute or so after starting the engine, engine stalls. In fact even if I just put it in gear without leaving it in idle for sufficient time, I can see hear the engine weak and struggling. But if I leave it in idle for about a minute or so and then drive, no issues after that. It is a 2000 corolla with about 125k miles and has all 4 new iridium spark plugs since last year. And also ever since I had a missing gas tank cap last year, the check engine light keeps coming and going. Engine does consume some oil if I go at higher speeds. If I stick to around 50-55mph, no significant consumption.I keep experimenting with different thicker/synthetic oils but this problem seems independent of whatever oil type I use. Any inputs would be appreciated. Thx. I have a 04 VW GTi 1.8T auto with the sport shifter - i'm having problems when trying to shift out of first gear (go over 10mph) because the car stalls out, revs up but doesn't jump into gear. I've noticed that I can prevent this from happening half the time by warming up the car for at least 40 minutes before attempting to drive. It's still rough at stop lights and jumps into gear, also around turns it slips out and jumps back into gear. i have an 09 corolla and i've been experiencing weird accelerating and braking problems. My car has stopped letting me accelerate, while the rpm shot up and mph locked at like 20. If i turn it off and turn it back on it runs normal again but my engine light turns on. Sometimes when i'm driving the car sounds like it's pushing but nothing changes on the mph or rpm. It's like i'm accelerating but nothing is happening. My car has also shut off while the battery was still running by itself. It said there was a pedal position sensor issue, i changed the wiring harness, but this is still happening. Any idea on why??? Have the Ignition control module checked. Having same problem with daughters car. Was getting progressively worse. Module was corroded and rusted and overheating. Replaced, problem gone. My car keeps stalling for about 3-4 times but usually after its first few minutes of driving. After few kms it drives good without any stalls. About your problem, does the stalling occur during cold weather?